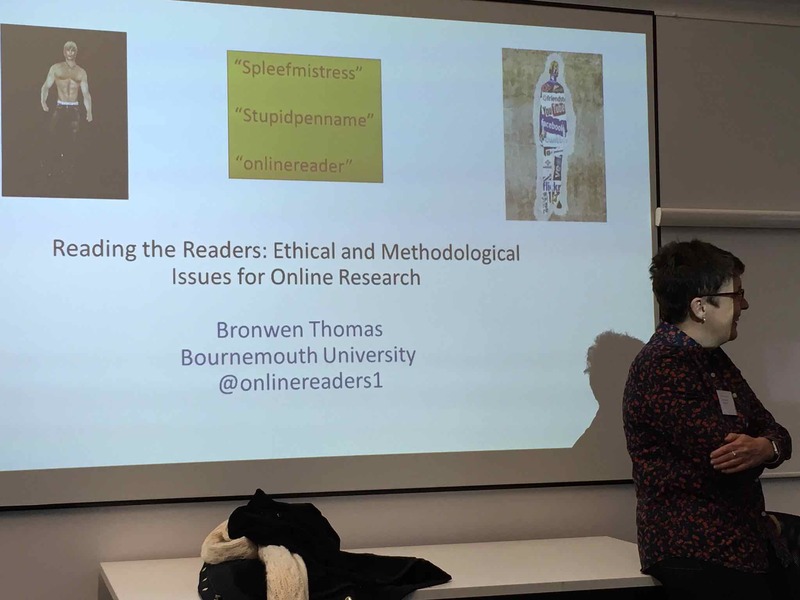 It was my great pleasure to take part at the end of last week in a conference organised by the Stylistics Research Group at Sheffield Hallam, headed by DRN member Alice Bell. I have come away with a long list of references to chase up and some very happy memories of what was a very convivial event!! The first plenary by DRN members Sara Whiteley and Dave Peplow provided a masterclass in stylistics analysis, offering very detailed insights into interactions between members of a book club discussing ‘Upon Opening the Chest Freezer’ by Simon Armitage. This was followed by a fascinating panel on Digital Fiction, particularly focusing on immersion and showcasing different methodologies including the Think Aloud protocol and participant interviews. The case studies discussed in this session included Dreaming Methods’ Wallpaper (Alice Bell), videogame Zero Time Dilemma (Jess Norledge and Richard Finn) and The Princess Murderer (Isabelle Van der Bom). As ever, the conference presented some difficult choices in terms of parallel sessions. After lunch, I switched panels to catch Sam Browse’s entertaining paper presenting an ethnographic study of a group of local Labour party activists, followed by Lyle Skains’ paper reporting on how her creative writing students responded to reading digital or ‘ergodic’ fiction, and how they felt this influenced their own creative practice. It was great to see diversity throughout the programme both in terms of methods and case studies. One of the takeaways from day one was a strong preference for mixed methods, and there was a very lively discussion following the closing plenary (presented in absentia by Ranjana Das) about the extent to which exploring new approaches and methods from different disciplines can be managed without diluting or compromising the skills and expertise that we have as researchers primarily trained in critical analysis and close reading. 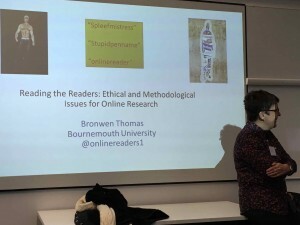 I delivered the opening plenary on day 2, reflecting on the ethical and methodological issues I have encountered as I have moved from text-based to ethnographic and sociological studies of readers, and the specific issues that arise from working in online spaces. This was followed by a fascinating panel on Attention, with an insightful paper on cognitive approaches to re-reading from Chloe Harrison and Louise Nuttall, and a very informative and interesting paper on eyetracking and onomatopoeia in manga from Olivia Dohan. 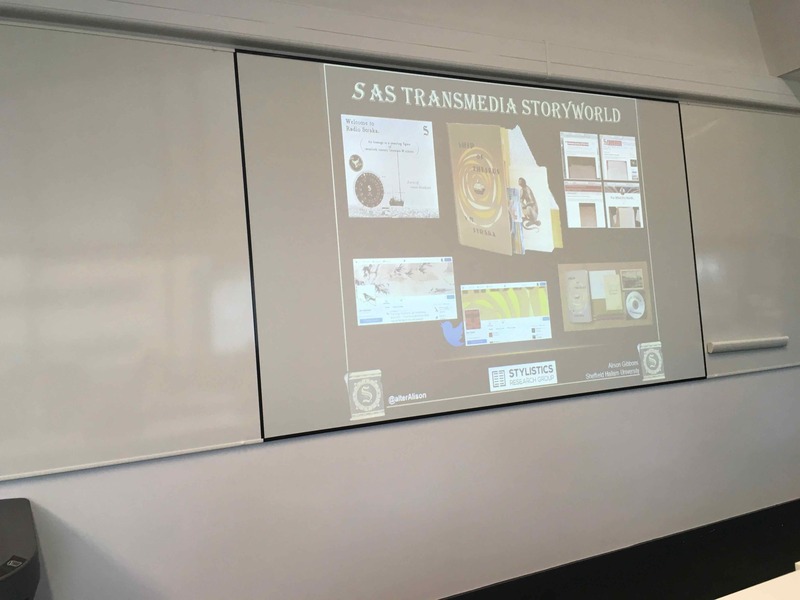 The afternoon sessions provided further innovative approaches to media and new media texts and cultures. Isabelle van der Bom and Laura Paterson reported on a corpus linguistic study of live tweeting of Benefits Street, which provided depressing but fascinating evidence of the ways in which the ‘echo chamber’ of social media is nevertheless shaped in interaction with other media (tv, the tabloid press). It also raised questions about the extent to which empirical and particularly quantitative approaches can tell the ‘whole story’ when it comes to a discourse where there may be just as many silent witnesses as participants. Alison Gibbons’ paper on JJ Abrams’ S reminded me once again that I really must get round to reading this book! She offered a fascinating account of the novel as part of a transmedia universe, and reported on her attempts to get ‘real readers’ to create and insert their own marginalia alongside that provided by the novel’s creators. The closing plenary was an energetic and engaging discussion of persuasion and transportation by Melanie Green. As well as transporting us into a different realm by reading us a story, Melanie’s paper left us with some important insights into the power of stories to change minds for good and ill. Many congratulations to the organisers of this event for producing such a stimulating couple of days. I hope to have offered a partial glimpse into the discussions that took place, though I have restricted this to the sessions I attended. 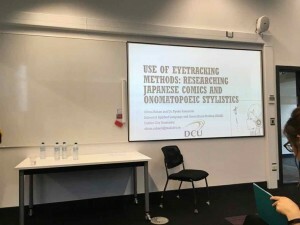 It was wonderful to see that the study of readers and reading is attracting some innovative work from within the field of stylistics, drawing on a long tradition of focusing on the empirical, but also demonstrating breadth of engagement with terms and methods from multiple disciplines. It was also great to hear many of our members being referenced in the papers, with shout outs at the papers I went to for Daniel Allington, Simon Rowberry, Anne Mangen, Danielle and DeNel…. Such was the success of the conference that much of the discussion afterwards was about the next event, so watch this space!